RELIGN is a startup company in the heart of Silicon Valley dedicated to innovation in arthroscopy and providing surgeons with the best-in-class product for more efficient outcomes. They are trailblazers in the field of arthroscopy and committed to the radical evolution of resection technology. Leveraging our years of experience, progressive research and development, and surgeon feedback, RELIGN launched the Tricera™ System. Tricera is a revolutionary, advanced system that combines ablation/coagulation, tissue resection, bone cutting, and fluid management into one unique system. RELIGN continues to put a strong emphasis on research and development to work towards providing quality, effective solutions for surgeons to further advance arthroscopic surgery. 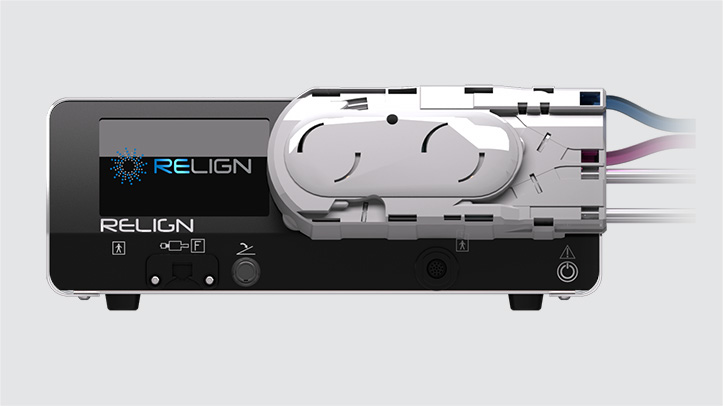 RELIGN has developed the Tricera System - a revolutionary All-in-One arthroscopic surgical platform which combines the ability to ablate/coagulate, resect tissue, and burr bone all while maintaining accurate, consistent fluid management and pressure control. Dynamic Ablation™ is a unique and proprietary feature of the Dynablator ablation device. Dynamic Ablation features a smaller, active electrode that reciprocates for superior tissue removal. By reciprocating this electrode 50 times per second, a large area of dense energized plasma is generated. The result is aggressive bulk tissue removal with superior visibility and lower joint fluid temperatures. Dynamic Ablation results in aggressive bulk tissue removal and tissue is removed 7.5 times faster than the leading competitor. 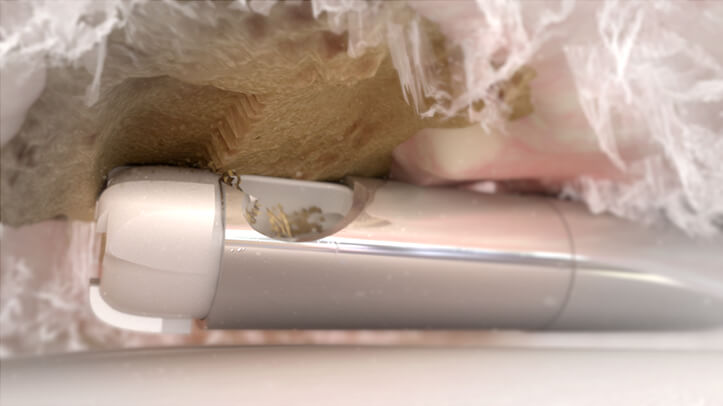 RELIGN’s patented, integrated Veriflow™ technology optimizes fluid pressure while reducing pressure spikes and troughs. This self-loading inflow/outflow fluid management system utilizes a proprietary algorithm that measures backpressure and joint pressure, resulting in extremely accurate flow and joint pressure. The intuitive system adapts to any sheath/scope manufacturer and provides excellent visualization with consistent joint distension, even when using tapered sheaths. RELIGN’s Tricera™ System is an innovative, integrated arthroscopic shaver, burr, radiofrequency device, and fluid management system. The intuitive touchscreen display provides a quick and user-friendly setup. RELIGN’s integrated technology consolidates multiple consoles into one, minimizing space, set up, and maintenance of multiple systems. RELIGN’s Dynablator™ is a revolutionary device that incorporates a reciprocating electrode with combined resection and suction for superior tissue removal. Dynablator removes tissue via Dynamic Ablation™, a unique and proprietary feature of the device. RELIGN’s 3-in-1 BURR™ device emphasizes bone burring with the versatility of a shaver and RF ablation/coagulation probe in one single device. These combined features provide exceptional device performance and control while allowing the surgeon to switch modes without exchanging devices intraoperatively. RELIGN’s 3-in-1 SHAVER™ emphasizes enhanced tissue resection with ablation/hemostasis and bone burring. Similar in tip geometry to a standard shaver, RELIGN’s 3-in-1 SHAVER offers multiple modalities reducing intraoperative instrument changes for procedural efficiency. Integrated fluid management provides added security with optimal flow rate and superior visualization.